For more than half of my life I do cycle touring every Summer. Single or in a Group, planned or totaly unplanned, with every kind of bikes through several countries on this planet I've seen beautiful landscapes, terrible traffic, amazing seasides and high Mountains. I have met with friendly people but also had to manage a lot of problems, that's part of the game. 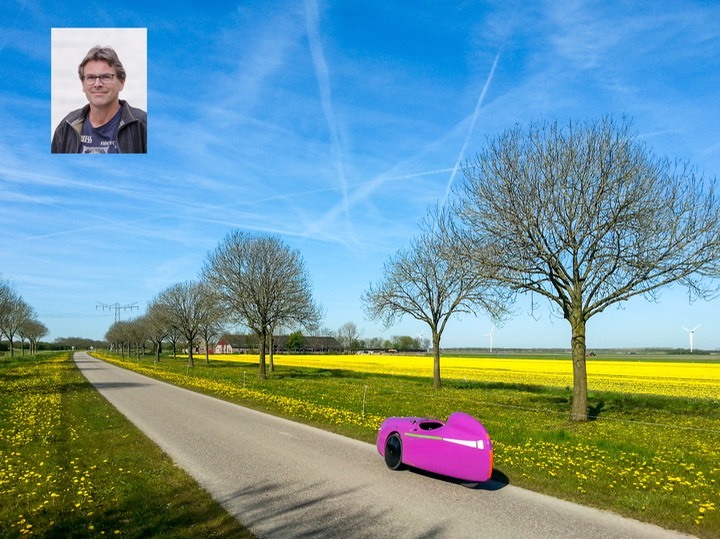 After ROAM and GBSR, this will be the 3rd velomobile ride with Jupp. And it will be lot's of fun again. My way from road bike to the Velomobile : In 1984 during my studies, I bought a road bike, because my beetle became to expensive. Since then, I often ride longer distances by bike. When cycling in our local club I particularly like riding in the peleton . During cycling marathons and races, I like to test my limits , so I know, what my body is able to do on very long distances. My biggest motivation are my grandchildren. For them I would like to help making a livable world. So, I try to keep my carbon footprint as small as possible. This includes a clean mobility as well as the energy-saving houses I build. Riding recumbents since 1998, I already did some tours on my own, the first longer one to the recumbent world championship at Allègre in 2006. Since then, I cycled in Denmark, Austria, Spain, Switzerland, Portugal, Italy - but never in the western part of France. My motivation for this tour is minimizing my own planning, expierencing a longer tour with many riders, a combination I couldn't enjoy yet, and an additional reason to rehabilitate faster after a leg injury in 2015. Frank is new to velomobiling, but brings extensive experience with bike touring, having completed several tours by recumbent with long riding days. On a regular bike he cycled around the world, so he should not be afraid of our tour of France. Frank says: "I think it is awesome to undertake a cycling adventure with like-minded people. To accomplish a goal together, while cycling on a firm pace in one of the best cycling countries in the world is an privilege. A change you will not get often. I would love to participate in such a fantastic undertaking." On the Great Baltic Sea Ride in 2014 I drove the Sag Van. This time, I would like to exoerience the adventure under my own power, together with old and new friends. I have been a cyclist as long as I can remember, but it was only 20 years ago that I discovered road biking. As a roadie I have built the fitness for the annual week of self-supported touring, which mostly led me into the mountains. Later I discovered the recimbent racer „Baron“ as a fast alternative for touring and riding brevets. Over the years my center of gravity has moved closer to the ground, from a road bike to a recumbent to a velomobile. Over the past few years I’ve been fascinated by the progress in efficiency of velomobiles as well as by my own efforts to extend the limits of my physical endurance. As I am traveling tha lands on my own most of the time I very much look forward take on the long and thrilling LeTour together with such a jolly bunch of riders. 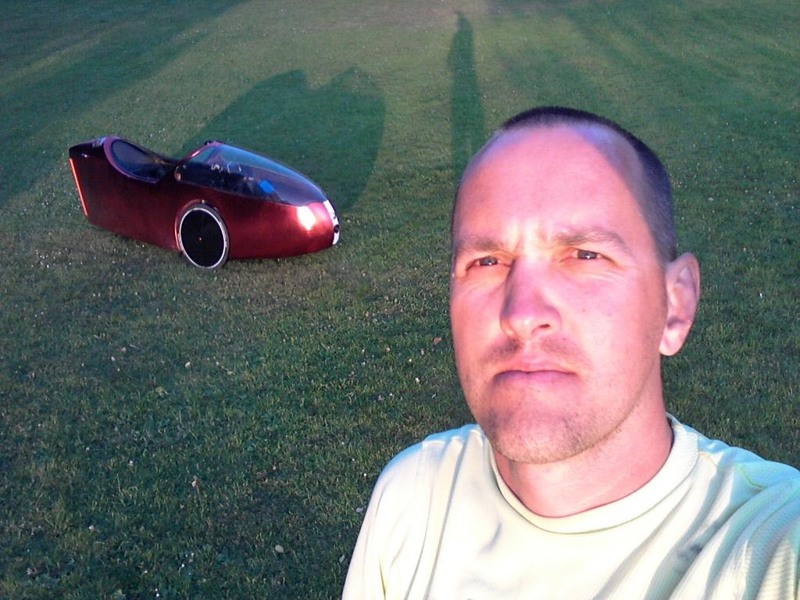 Daniel is both a creative designer/builder and a strong and successful racer of velomobiles. 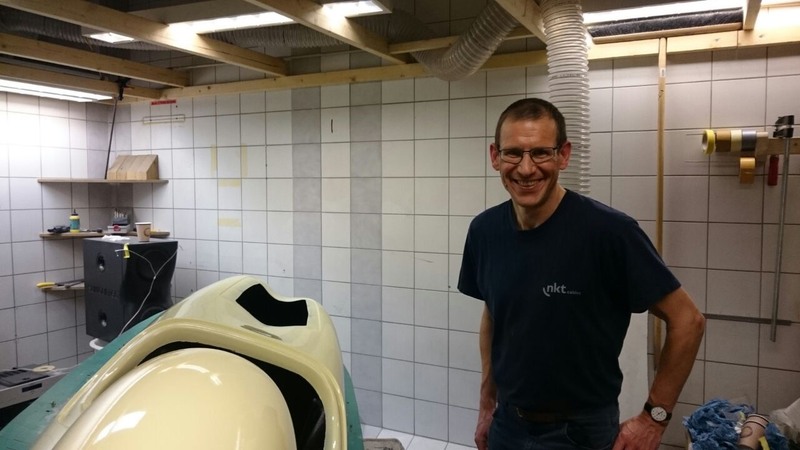 Since he first started out to win the European Championship in a Go-One velomobil, his passion has been to make velomobiles ever more efficient, which means faster with the limited power human riders can transmit to the pedals. He’s with velomobiles just about every day, but rarely takes the time off for a tour like this. 3Wheels4France has changed this. A bike commuter for years I almost inescapably ended up with velomobiles, as my commute was longer and my practice was to ride year round. For the past few years, however, my commutes have either become way too long to be riding or short enough to be easily done on any bike. Instead of the regular 30-60 km commutes I now find the kicks in touring, some longer day rides on weekends, the occasional 3-day-tour, and the rare long haul. Riding alone is fine with me, but a pack of velomobiles on tour is a sight and experience that’s hard to beat. I’ve done a few of those tours, and I initiated and organized the "Roll over America” Tour in 2011 and "The Great Baltic Sea Ride" in 2014. Life just ain’t them same anymore after such epic adventures. Thus, another three years later I hear the roads calling me and fellow velonauts. I am excited to get back out. My name is Olof and I am a keen velonaut since three years back. 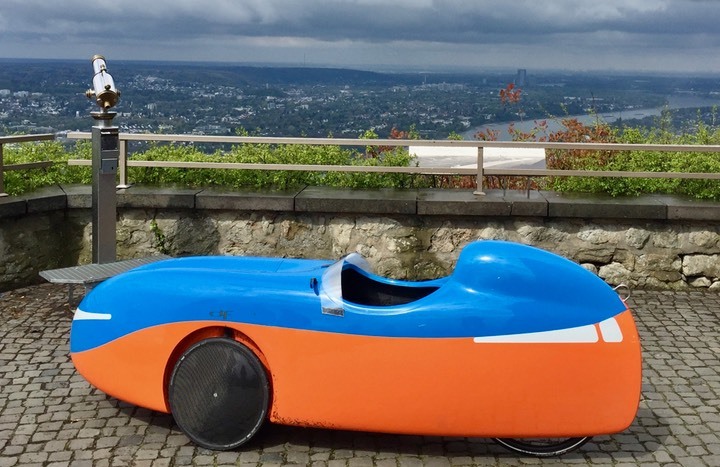 My career with velomobiles started 2014 when I bought a second-hand Mango velomobile. I used it for my commutes to work (42 km to and fro) and for all other possible travels. In the summer of 2015 I tried a longer trip and started off towards England where I have a sister. I was delayed for different reasons on this trip and had to make it shorter. I went to Travemünde and took the ferry back to Helsinki. Now I have a brand new velomobile, a Mulsanne that is made in France. 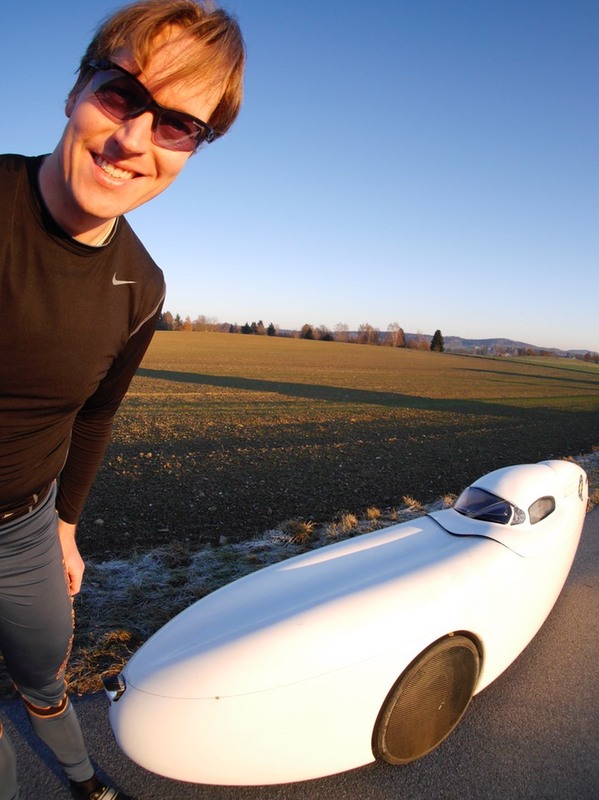 If you ask me I say that the Mulsanne is the most beautiful velomobile in the world. My dream for my future holidays is to tour Europe under my own power. Suffering a herniated disc in 2008 I switched from the road bike to a recumbent trike (Scorpion FS). 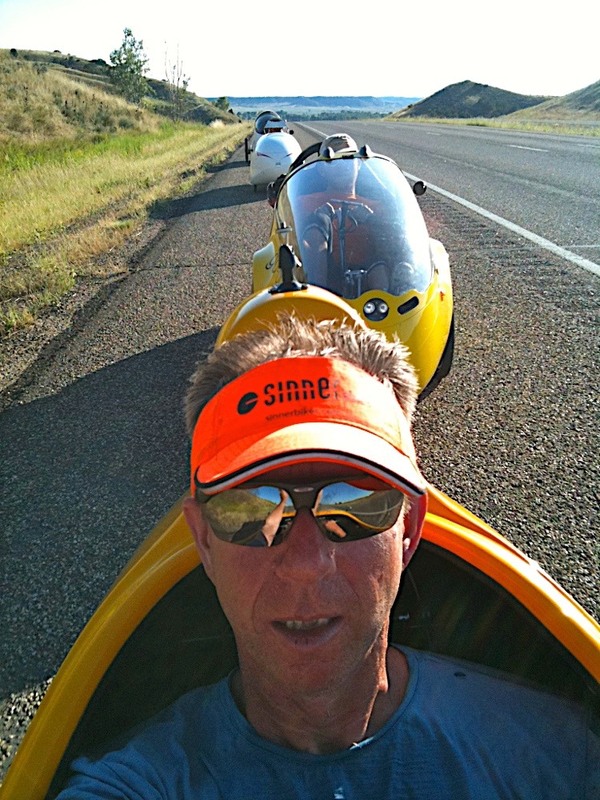 Quickly I upgraded first to a two-wheeler recumbent (Baron) and then to a velomobile. Late in 2011 I bought the then newly introduced Evo Ks made by Beyss, which I still ride today. Since then I have done a couple of races and long distance rides beyond 400k, and I participated in the Great Baltic Sea Ride in 2014. In the meantime, my Evo Ks has about 50000 km on the clock. I would like to take part in this new Adventure in France. What drives me, beside the obvious fun factor of riding together with a large number of Velonauts, is the promotional aspect. 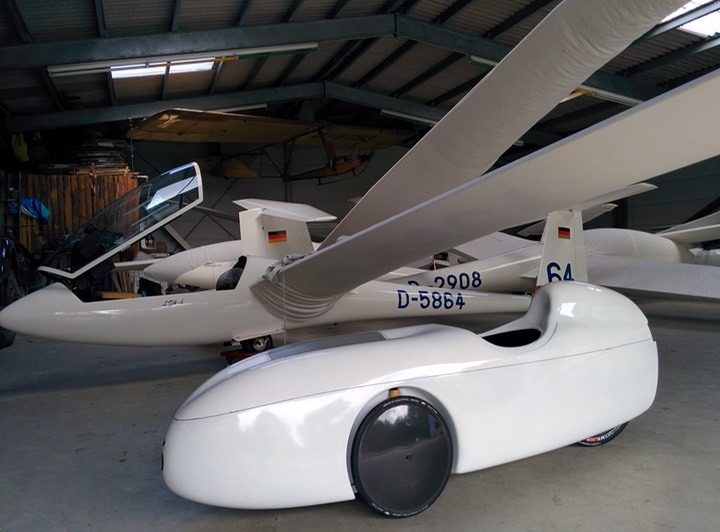 The former tours have shown how important it is to draw new interest towards the velomobile. 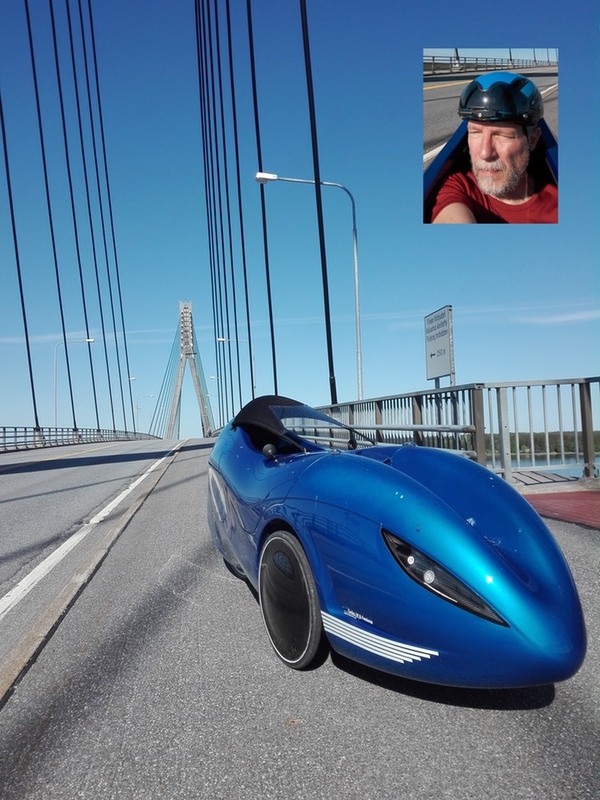 In my profession as a velomobile constructror/salesman I have often noted that potential costumers, looking for info on the internet about velomobiles, stumbled upon ROAM2011 in the USA and GBSR2014 around the Baltic Sea. What is very important to me is showing how practical a self propelled, truly zero emmision velomobile is in every day use. 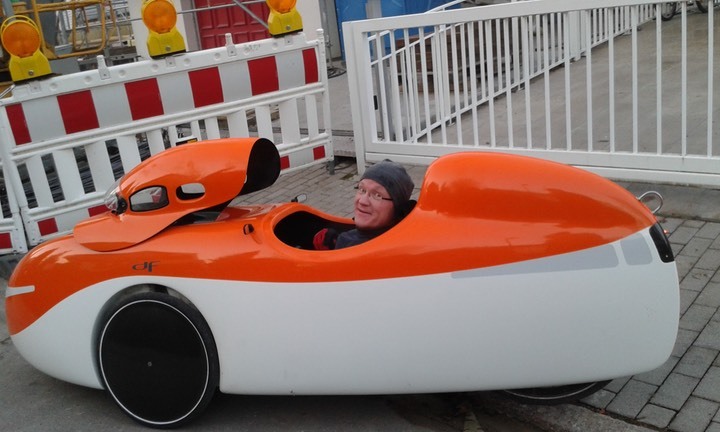 Bicycles are often thought of only having merits in urban areas, but 14 years of velomobile experience has taught me that it is ideal for intercity use as well. Last but not least it is a great way to stay in good shape right into old age as cycling is not hard on the joints. I’m a geophysicist, but currently working in IT security near Munich. Cycling has always been my favourite means of transport. But I didn’t do it as a sport, since I am not ambitious enough and thus not interested in competitions. 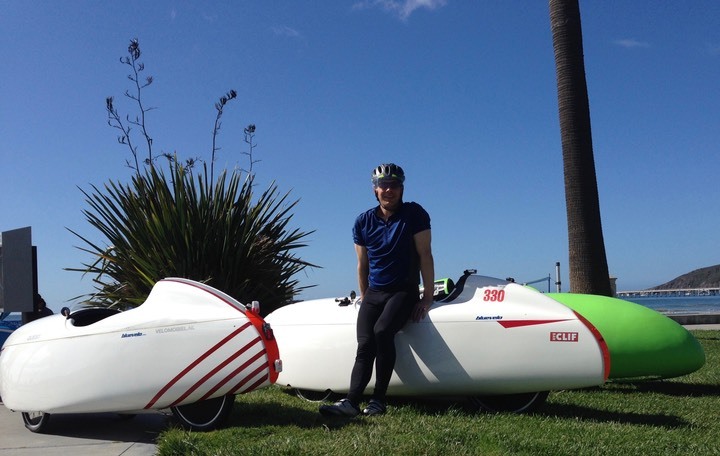 However, I am fascinated by the efficiency and speed of human-powered vehicles, so I am riding recumbent bikes since 2001 and have a velomobile since 2013. Being able to cover long distances has been my main motivation; and in 2007 I became interested in testing my limits. This led to participating in Paris–Brest–Paris in 2007 and 2011, and the Superbrevet Scandinavia in 2013. These brevets were great and intense experiences, so I didn’t just cycle, but also took many photos. For many years I have done tours for days or even weeks with my upright, all alone or with my daughter. This way I developed the spirit and charm of long distance bicycle tours in amazing surrounding and free of time pressure or fixed plans. In 2012, fortune offered me a 30-km-long route, twice a day, to the nearest train station and back. I liked it in summer, but it was obviously too far to do on my upright bike in winter. 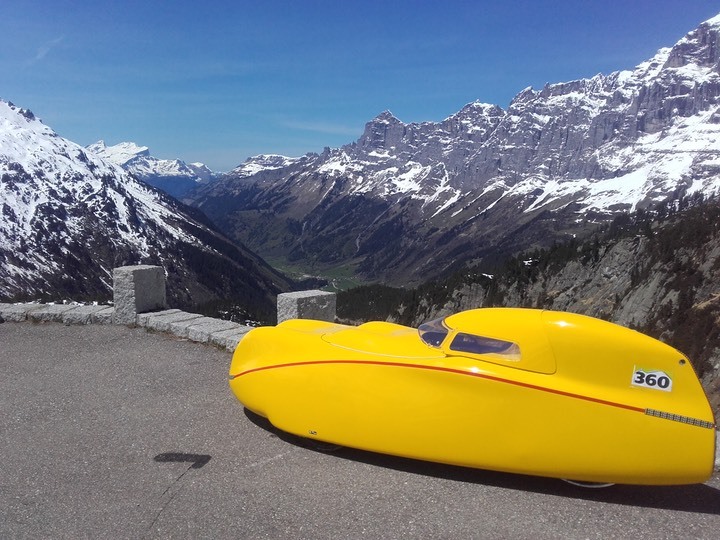 The decision to engage in a velomobile was easy, I have counted on the fact that it will pay off by saving bustickets and guarantee extra fitness. But then, I discovered that I had not been prepared for the fun of driving a velomobile. When I discovered that Jupp was organizing the Great Baltic Sea Ride in 2014, I wanted to share this experience and I did. Unfortunately my Quest broke in the third week, but with the engaged and qualified help of Erwin, our GBSR tour van driver, I was able to finalize the race in my velo – once again, many thanks Erwin! I very much look forward to this year’s Tour of France. I am driving Velomobil since April 2015. That was the point when my company told us, that they wanted to move and my way to work would increase from 4 km up to 30 km. I was thinking about covering that on my normal bike but it wasn’t fast enough, and in winter riding the bike was not so nice either. So I found out about Velomobiles and their advantages, and when I tried the first one I was infected with that virus. So I started with some short trips from Mainz to Dronten or just up to Cologne and that was really fun, riding this kind of gokart on the roads. After I had read all the stories about travelling across America and around the Baltic Sea I wanted to do that too for once. The 3Wheels4France Tour will be my first longer trip to France and I am really looking forward to it. When I bought a trike in 2012 and visited SPEZI for the first time, I saw the presentation about ROAM with awe and wished I could have taken part in that event. 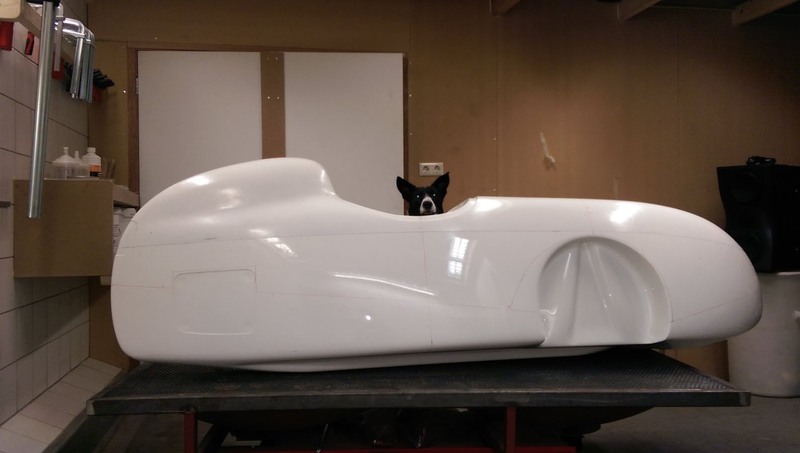 Then I bought my first velomobile in 2013, when GBSR just was being planned, but I didn't have the necessary experience yet to take part. But I planned my first multi-day trip in such a way that I could meet the GBSR tour, and could ride with them for the last 2 days of the trip and then continued on through the Netherlands and Germany. 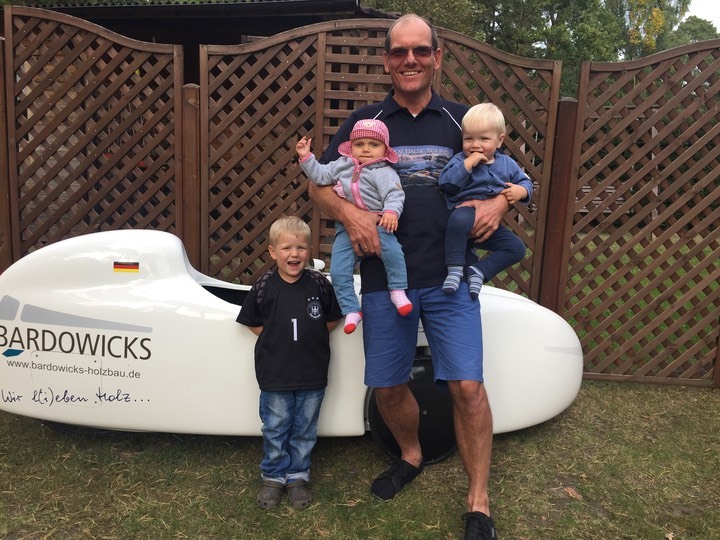 I ride about 10.000 km a year, all year long, commuting to work and doing all other short to medium distances by recumbent bike or velomobile. I'm really looking forward to finally be able to take part in such a event as this tour will be, especially after getting a little taste of the spirit when I met the riders in Rostock and Lübeck in 2014. Since 1995 I'm riding recumbents. 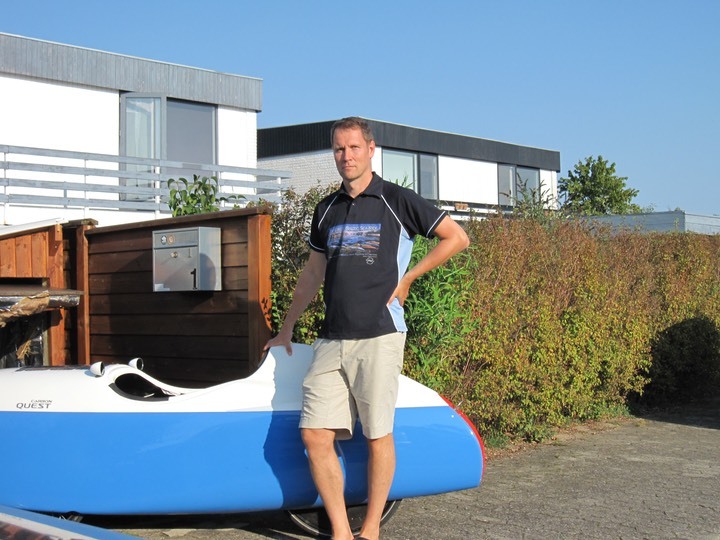 In 2007 I started to participate in bicycle marathons up to 1000 kilometers on a recumbent. 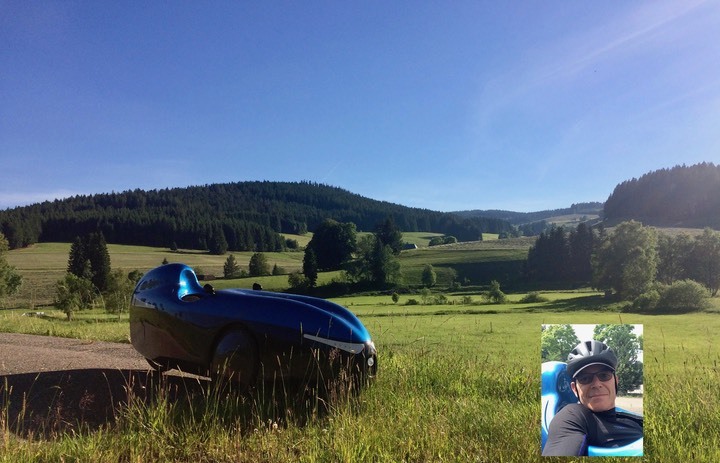 After reading reports of ROAM 2011, I decided to buy a velomobile to be part of such a ride. 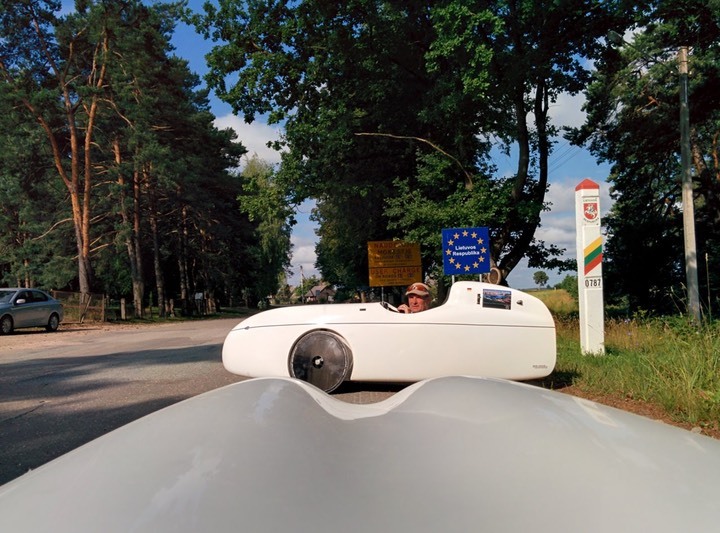 My touring experience by velomobile includes the EuroTour 2013, The Great Baltic Sea Ride in 2014, a tour across 8 German states and the annual qtime trial ride Hamburg - Berlin and back in 2015. It was great fun to ride the EuroTour 2013 and the GBSR 2014, so I would like to be part of the 3Wheels4France. I’ve been commuting by bike as long as I can think, say, primary school and ever since. A randonneur travelling bike soon brought me from home beyond the Atlas and from Alaska to Tierra del Fuego. I got addicted by the vast solitude and had to return several times to cycle the high Andes of Argentina, Bolivia and Chile with my wife I’ve met, guess what, on the road. I only became more moderate once a kids trailer was attached to a Grasshopper and later commanded a Pino during every summer holiday. We learned to love France for its easy and pleasant cycling. Quite late I realized that you can ride those fully faired rockets every day on the roads. In 2013 a Milan SL became mine and is flying low since. Jealously I read the reports of ROAM and GBSR. This time I don’t want to miss the opportunity to ride with other enthusiasts and enjoy the flow of long distance velomobiling. I live in Copenhagen, Denmark, and commute to work every day 50 km winter and summer. I participated in the Great Baltic Sea Ride in 2014 and it was such a great experience that I have to participate in this next ride. I also ride longer trips alone. In 2015 I rode the southern part of England and Wales. I started riding a velomobil in December 2012 and have enjoyed every minute ever since. Before that I have worked my way through normal bike and recumbent bicycles. Professional I am a manager in the utility business (water, wastewater etc). I have been riding two and three wheel recumbents since 2001. I started commuting to work in velomobiles in 2009 which prepared me to ride ROAM in 2011. ROAM was an amazing experience not only as physical challenge but as an opportunity to ride with exceptional people and see interesting places from a special perspective only available by velomobile . After having a great time on the GBSR 2014 with so many nice people and still enjoying the memories of a phantastic experience, it is a must to be back on such a big trip again. I love France and spent many vacations and two student exchanges there. But I'm pretty sure that these three weeks will impress me much more than any of my other trips to France before! 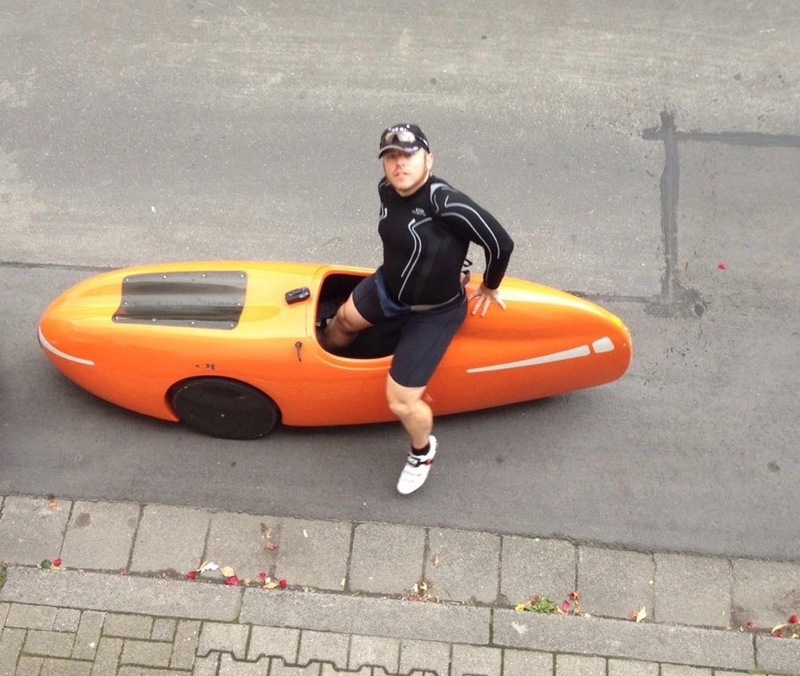 Since 2001, I have been riding in a velomobile 8000-1000 km/year, mostly for commuting. 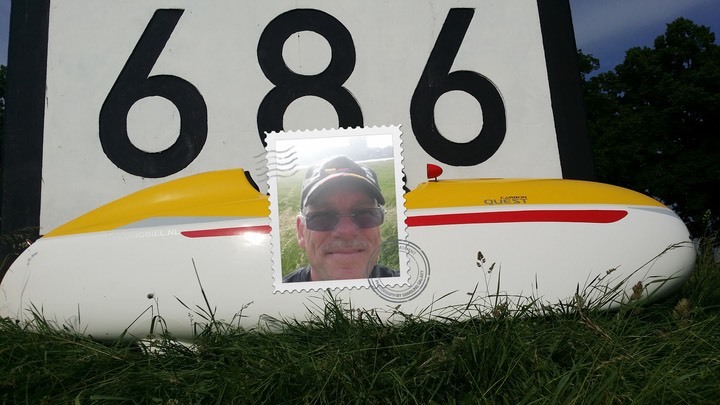 Joining the GBSR in 2014 was great fun. I'm looking forward to meet old friends and make new ones on this next trip.